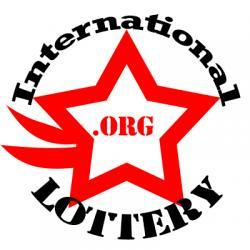 To start buying international lottery tickets with the prize up to millions of dollars, the first thing to do is to prepare yourself a Visa Debit card that allows you to make international purchases online and can be sign up for at any bank in your country,… After that, follow our steps to play worldwide lottery like PowerBall, Mega Millions, EuroMillions, Euro Jackpot, Australia Lotto,… without having to travel to America or Australia! 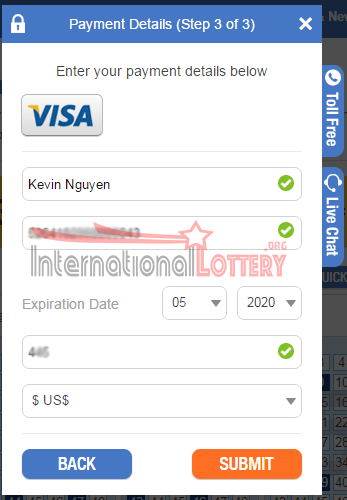 How to play international lottery (PowerBall, Mega Millions, Euro Millions, Australia Lotto…) online in Your Country ? Step 1: Go to TheLotter homepage by clicking here! Press “PLAY NOW” to start playing the lottery you want. Step 3: Choose your favorite number. You can pick it by yourself or using QUICK PICK to choose it randomly. 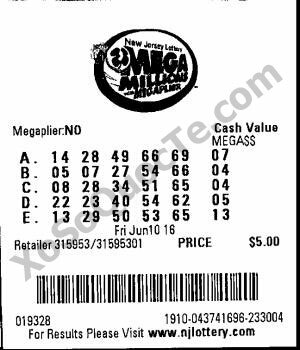 “Multiplier” option: your winnings will be multiplied and you have to pay an extra amount of money for the ticket. However, it cannot be applied for jackpot. Multi-Draw option: consecutive draws with your lucky numbers to save up to 25% off the regular cost of participation and ensure that you never miss a draw. 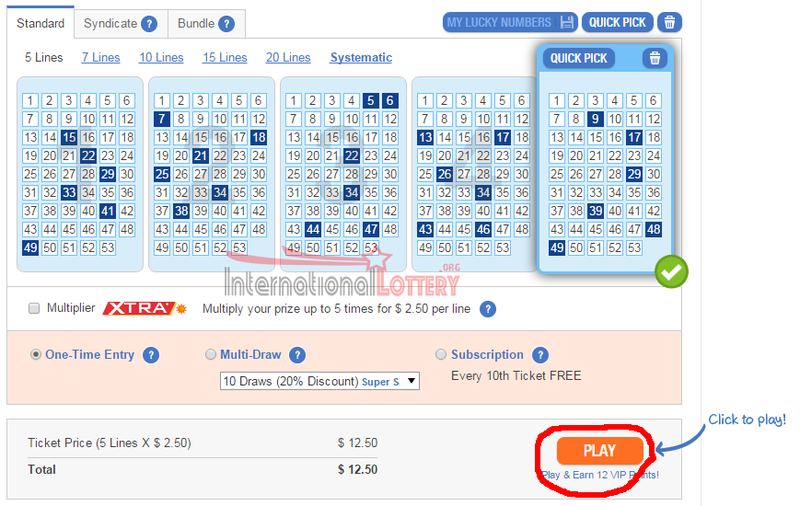 Subscription Option: you will be entered in every consecutive draw of the lottery until you cancel it. We don’t recommend this option for you if you only play when there is a big draw! 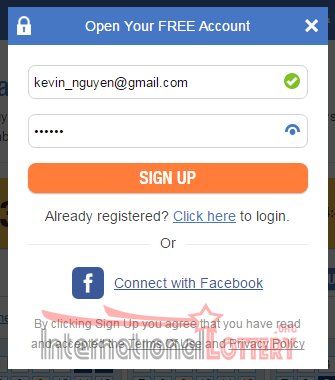 Step 4: Sign up or log in. If you haven’t registered yet, just enter your email and password then click SIGN UP to continue. Note: Open an account is totally free on Thelotter. 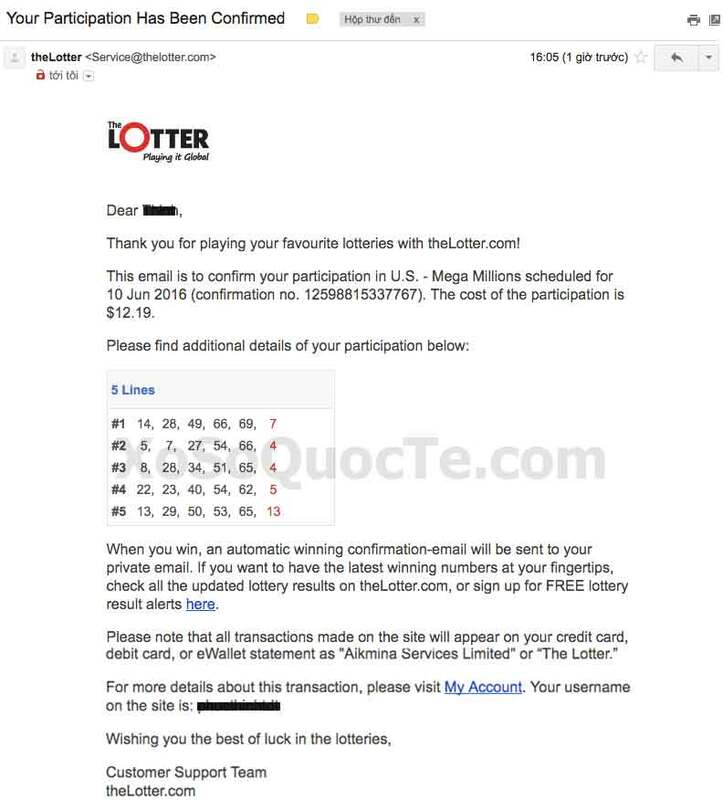 When signing up, you need to fill in some basic information, which will help Thelotter keep in touch with you in case you win any prize. Click NEXT to choose your payment method. Here, let’s take VISA as an example. You can also choose other payment method as you like. 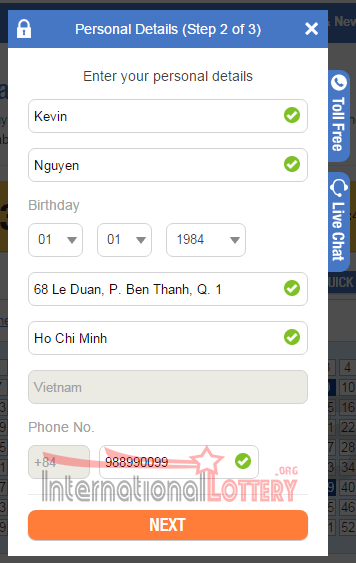 In Expiration Date entry: choose the right number from the scrollbar for the expiration date on your card. For example, 5/20 means May 2020. 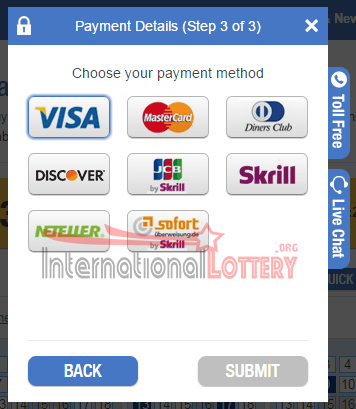 Note: if you meet with “transaction declined” error even though there is nothing wrong with your card or your typing, read out How to buy international lottery ticket on TheLotter using Neteller. Step 5: After successfully creating your account on TheLotter, you will be asked to review the details of your purchase. You can change your numbers by clicking BACK button on your browser. If everything is ok, click CONFIRM to finish your purchasing. Besides, you will receive an email from TheLotter to confirm that you have successfully registered. A scanned copy of your ticket will be sent to your account to make sure that your money has been spent on the right purpose. 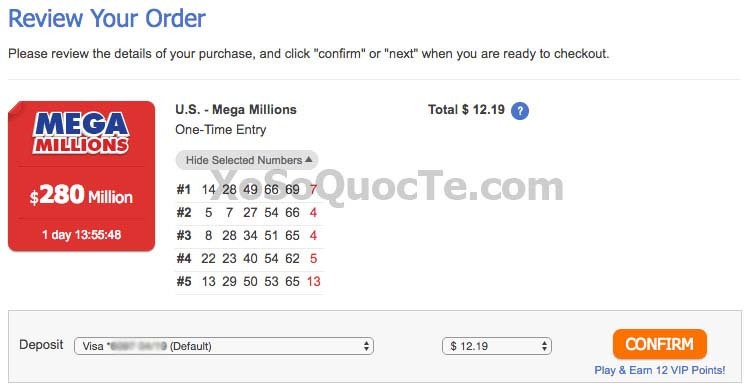 PowerBall, MegaMillions, Euro Millions, … are the perfect choice for those who dream of becoming millionaires, especially those who still play lottery and consider it as a game as well as relaxing after hours of hard work. Wish you luck and happiness in life!